This eight cup Kiddush fountain is a wonderful way for serving Kiddush grape juice or wine to a crowd. The grape juice is poured into the large Kiddush cup which flows into the smaller eight cups that lie underneath it. Each of the smaller cups can then be passed around the table. 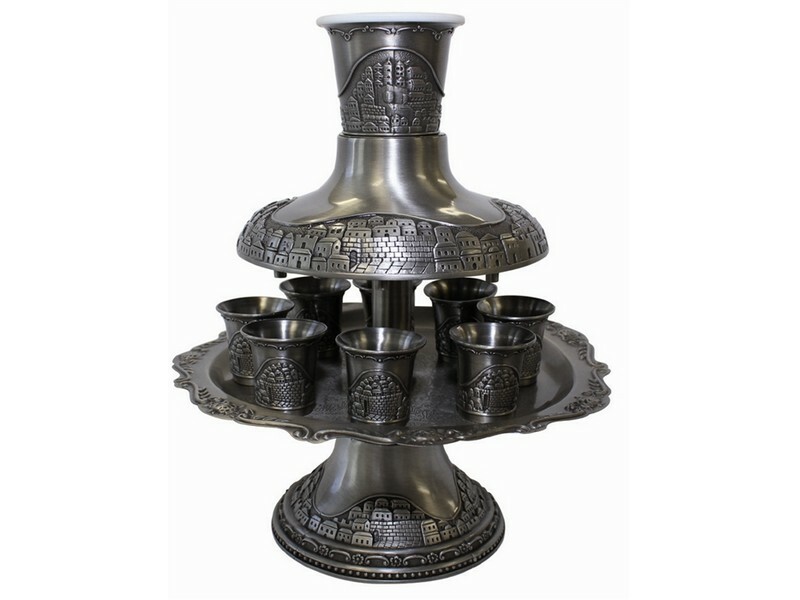 This Kiddush Fountain in made of pewter and is decorated with the hills of Jerusalem. Makes a beautiful and functional centerpiece! The Kiddush fountain will enhance your Shabbos and Yom Tov table!